Collisions are impossible to predict, and when they happen, they can cost your company millions. To combat this, you’ll want your fleet manager to construct a Driver Safety Tips program that makes this unpredictable expense, well, predictable. Settlement payouts, repairs, insurance premium increases, and the harm to your brand’s image are too great a cost to risk. However, implementing technology isn’t a miracle fix. It definitely won’t benefit your business if your drivers and managers aren’t using it effectively. According to Mobileye, onboarding is the most important factor in this equation, as it’s the best place to begin. The driver is already learning about driver safety tips during this stage, and since they’re new, they’re going to take it seriously. Use the following driver safety tips and tricks to save your business money, increase productivity and employee satisfaction, and boost your revenue. Explain how adhering to the safety program benefits the driver. ​Before even understanding the different fleet safety systems, the driver need to know why using them is beneficial. Reasons like protecting their health and boosting earning potential are sure to encourage new hires to take the learning process seriously and sweat the details. Empower drivers to look for solutions. Certain fleets will have drivers that travel through desert plains or snow for days. When they’re taught how to seek out safe solutions for situations that are common, they’ll be empowered to critically solve future problems for their team. Connect new drivers with experienced drivers. Experienced drivers with a record of safety can be an invaluable asset to your company and your new hire. 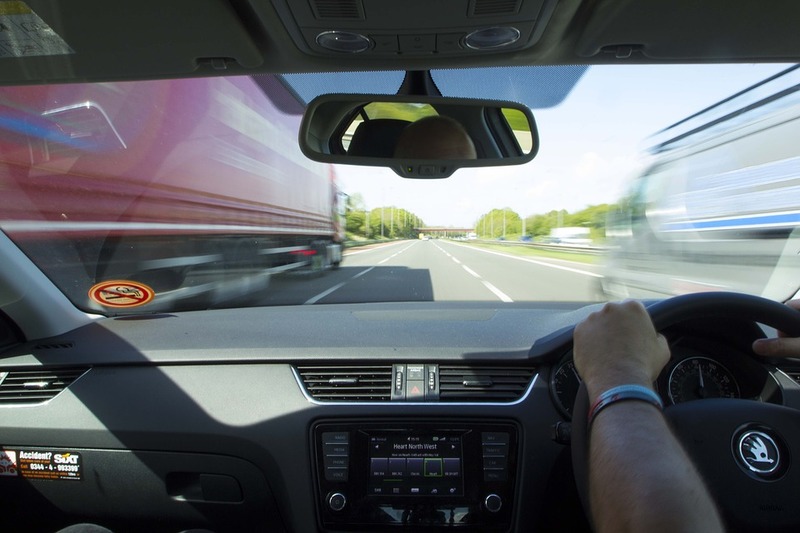 Shadowing is not uncommon among fleets, and if a driver with a record of safety is training the new hire, they won’t be as prone to reckless driving practices as they would be if an unsafe driver had done it. You’d be hard pressed to find a better way to capture employees’ attention than an incentive program. Choose an incentive that works well for your business and that your drivers respond to. Keeping drivers compliant after training is a challenge, but it can be made easier by staying up to date on their driving history. Don’t stop monitoring and training your employees after they’ve become seasoned.